I am a proud ambassador for the Winter Wildlands Alliance (WWA). Immediately upon returning home from Alaska this season, I was able to jump right into an ambassador workshop. One of our other amazing ambassadors offered this write-up to Backountry Magazine. Check out our work and please be in touch if you would like to get involved. The WWA is the voice of human powered winter recreation and their advocacy work is crucial to the greater backcountry skiing community. 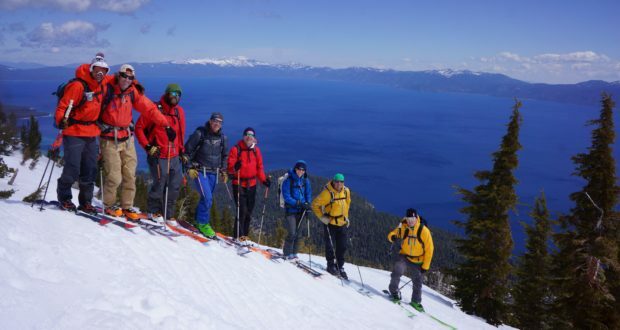 AMGA Guide Donny Roth, an ambassador for Winter Wildlands Alliance, recently went to the first Winter Wildlands Alliance Forum held in Tahoe City, Calif. There, Roth and fellow ambassadors and mountain adventurers discussed common goals for conserving wild, winter recreational spaces and the shifting perspective in how to do so. 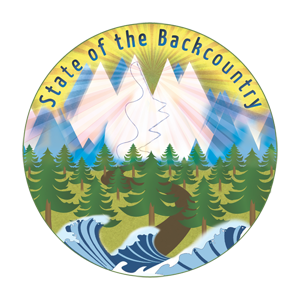 Ensuring that “public land management recognizes the needs and desires of backcountry skiers, snowboarders, snowshoers, Nordic skiers and other winter enthusiasts” is the WWA’s stated policy on their website, and the ambassadors were called together to discuss what that land management landscape looks like in 2016. Here is what Roth came away with at the end of the first WWA Ambassador Forum. I arrive to Tahoe City as a participant in the first-ever Winter Wildlands Alliance (WWA) Ambassador Forum, and as I walk into the bar where I am meeting the other ambassadors, beers are already being poured and the conversation is in full swing. Glen Poulson is talking about a recent ski race in the Altai Mountains; Forrest McCarthy is just back from guiding in Antarctica; Kim Havell is still jet-lagged from a trip to Morocco and Noah Howell has just completed the first-ever ski of the“Hardrock 100” route. The list of achievements keeps going—I’m surrounded by some pretty badass folks. We have gathered to bring the WWA team together, share some stories, turns and beers and hopefully figure out how we can better advocate the mission of the WWA—to promote and preserve winter wildlands and quality human-powered snowsports experiences on public lands. After four years with the WWA, and through traveling to places like Chile and Europe, I’ve become aware of how special our public lands are. I got involved as an ambassador to protect these places, and I was looking forward to the forum so that I could share my own story and learn from others. As some of our newer ambassadors introduce themselves to the group and explain why they are involved, it is clear that we share the common goal of preserving winter wildlands, but that certain historical opinions on how this is done are changing. The old rallying cry of the WWA was “anti-snowmobile.” And yes, some of the WWA’s earliest and most significant challenges were conflicts between Nordic skiers and snowmobilers, particularly in places like Yellowstone National Park. 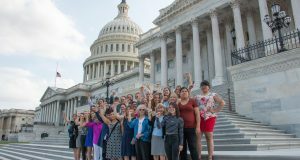 It seems, though, that this new group of ambassadors is shifting away from the anti-snowmobile stance toward a newer perspective thats more inclusive of multiple user groups. Moreover, ambassadors are focused on advocating and communicating across those user groups to ensure wild spaces. This new perspective is reflected in many of the WWA’s current ambassadors. 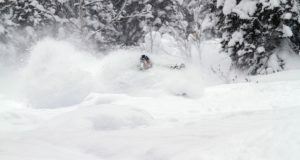 For example, Noah Howell is famous for his Powderwhore Production films that focus on backcountry skiing and snowboarding. But fundamentally, he doesn’t have anything against sleds. To Howell, that implies stopping the expansion of ski resorts in his home range, Utah’s Wasatch Mountains, more than it means rallying against snowmobilers. 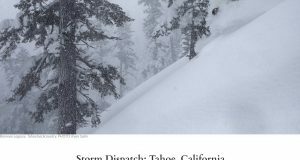 “Just a few more lifts and [inter-resort] connections could eliminate some of the most iconic and highly trafficked backcountry areas in North America,” Howell explains. The idea that preservation is not just about banning sleds becomes a theme for both days of the forum. Executive Director Mark Menlove begins his personal introduction with a story about his backcountry experiences. Hilary Eisen, WWA Recreation Planning and Policy Manager, sums up this muli-user conflict perfectly on the afternoon on the first day.